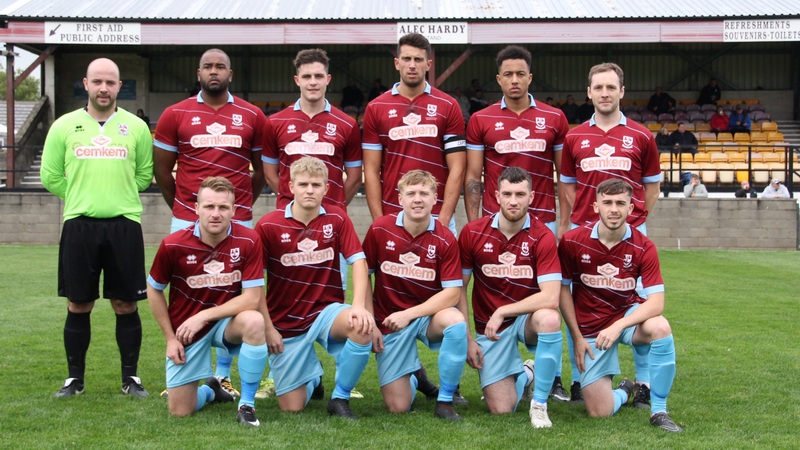 AFC Emley earned an away point in an entertaining game at East Yorkshire Carnegie to keep them 11th on the NCEL Division 1 table. EYC keeper was called upon to foil the Emley forward who was clean through on goal. Burnett was then involved in the opening goal for the visitors, a long range shot was pushed wide by the keeper, but Danny Stocker was following up and he slid it home from a tight angle to put the Pewits one up. With 9 minutes to half time the game was turned on it's head ,Walker slotted home the equaliser past Ledger, and just 2 minutes later his close range shot found the net again and the hosts were suddenly 2-1 up at half time. Not much happened in the early stages of the 2nd half, Emley made a change, Tim Wallace replaced James Stafford , and the game became a stalemate, both teams cancelling each other out, and both defences marshalling the attackers well. Emley Manager Joe Howson, then made a 2nd change, Ruben Jerome replaced Joe Jackson and Jerome's presence immediately caused problems. Within 8 minutes, Jerome had a chance to draw Emley level and he wouldn't turn it down, firing past Foulkes in the EYC net to bring the Pewits level. The visitors began to get on top from there on and looked to go and get the winner but couldn't find the target, good work from Jerome, saw his pull back fired wide by Burnett, soon after, Jordan Townend also fired wide of the mark. As the end of the game was coming into sight, Emley had another good chance to take all 3 points, but Wayne Hughes also shot wide to earn the home side a reprieve. Ben Burnett was replaced by Nathan Howe as the game and Emley's hopes of a win fizzled out on the East coast.